Rangers striker Kris Boyd scores his 100th SPL for the Ibrox club as the champions defeat Dundee Utd. 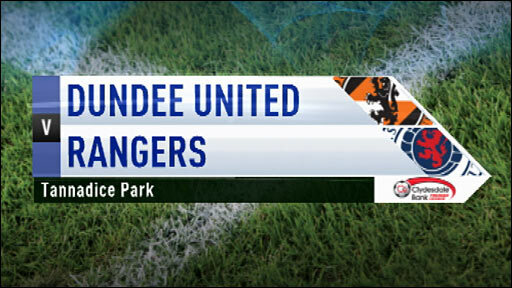 BBC Scotland's Rob Maclean describes the action from Tannadice. Please note: only available to users within the UK.